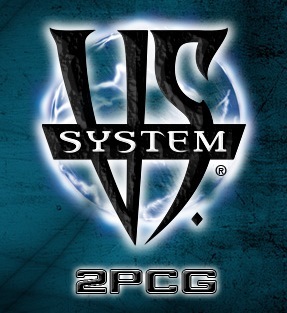 Upper Deck is excited to bring back Vs. System, which is now called Vs. System 2PCG. Be on the lookout for it this summer at your local gaming shop or retailer. In the meantime, we know many players and stores have questions about Vs. System 2PCG. We have gathered some of the more popular questions and have answered them below. Q: Vs. System 2PCG? What does 2PCG stand for? A: 2PCG stands for 2 Player Card Game. Q: Does this mean it’s only a 2-player game? We won’t be able to play in 2v2 games or other multiplayer formats? A: You definitely will still be able to play alternate formats such as doubles teams, multiplayer free-for-alls and more. Those will be rules variants. However, most major events will still be for the traditional 1v1 format. Q: When is Vs. System 2PCG launching? A: The official release will take place at Gen Con 2015. Q: How much will a box cost? Q: What comes in the Vs. System 2PCG box? A: There will be 400 cards in the box, made up of the cards needed to build decks for four different “teams.” Four copies of each card are included in the box, except for “Main Characters,” for which you only need one copy (more on “Main Characters” a bit later on). Q: What is the minimum deck size and how many of each card can I put into my deck? A: Your deck must be exactly 60 cards with a limit of four copies of any one card, so you’ll have to decide which cards to include in your deck and how many of each, depending on what type of deck you’d like. The 60 card requirement does not include your Main Character, because it does not go into your deck. Q: Will I need to purchase more than one box in order to make a competitive deck? A: You should only need to purchase one box in order to build any deck you want, since each box comes with four copies of every card other than Main Characters, and you can’t include more than four in your deck. Q: Will there be booster packs available for purchase in addition to or instead of the box? A: No, there are no booster packs for Vs. System 2PCG. Everything you need to play is in the box. Q: Can old Vs. System cards be used with Vs. System 2PCG? A: Old Vs. System cards are not permitted to be used in any official tournaments. Q: What will the card frames look like? The original Vs. System cards, the second version of the original Vs. System cards, or something else entirely? A: At your first glance, it will appear to you that they mostly look like the second version cards. However, you’ll then notice that we integrated some elements of the original into the newer frame, resulting in a card frame that has a pretty sweet retro feel to it. Q: Are you running any tournaments at Gen Con this year? A: Yes! Most notably, there will be a $10K Championship on Saturday, August 1, starting at 10AM. Aside from that, we will be running win-a-box events all four days, and will also be having some beginner non-prize events as well, for people who want to learn a bit more about the game in a less pressured and non-competitive environment. If you are interested in being a judge at Gen Con, please let us know! Q: Will this be a MARVEL only game, or will there be other licenses too? A: While this first set is only based on the MARVEL universe, we look forward to incorporating Upper Deck’s other licenses in the future. Our goal is to truly put the “Vs.” in Vs. System 2PCG. Q: Are you bringing back the Pro Circuit? A: We do not have any plans to bring back the Pro Circuit at this time. Q: Will there be any local tournament support? A: Definitely! We want to focus on grass roots hobby store/local gaming store support. We will be creating kits that stores can use to help support their tournaments. Q: What’s the best way to stay up to date on Vs. System 2PCG information in the future? A: You should bookmark this site, www.upperdeckblog.com, as well as like the Upper Deck Facebook page for entertainment products and the Vs. System 2PCG Facebook page. You can also follow us on Twitter at @UpperDeckEnt. Q: Is the game going to play exactly the same as previous Vs. System or will there be mechanics and/or rules changes? A: There have been a few changes made so the game is easier for newer players to pick up. However, we do recognize that part of the appeal of Vs. System has always been the intricacies and options for combat. We wanted to find a way to make the game more friendly to new players without detracting from the complexities that make the game fun. Q: What specific rules and gameplay mechanics will be different in Vs. System 2PCG? A: This is a question that requires more than a few short and simple sentences to answer. As a result, we will be posting a more comprehensive followup discussion to this FAQ, featuring the designer of Vs. System 2PCG, which should answer most of these questions. It should be posted the week following Memorial Day. At long last the Vs. System is back! Are you ready??? Are there any plans for a smart phone version? Games like Hearthstone, Star Realms, and the Penny Arcade deckbuilding game have had wonderful amounts of success, and Vs. seems tailor made for this kind of gaming on the go. Awesome to hear that full playsets are in one very affordable core. I never understood the reasoning behind FFGs incomplete core sets. Telling people they have to buy multiple core sets has turned many of my friends away from their games, even though they are still more affordable then a TCG model. So it looks like we CAN use old cards, just not in tournaments? If so that’s fantastic! The old cards are NOT compatible. The game play has been changed in major ways so that it really isnt the same game anymore. No booster packs? Everything you need to make your decks in one box? I really hope they include sort of element to appeal to those of us who live for the chase. Can you play with 1 box, or do both players need to buy a box because both players may want 4 of 1 card? I’m only interested in Firefly, not Marvel, so will Firefly be standalone, an expansion, or standalone but mergable? If mergable, will people who have only Firefly loose to people who own more expansions like with CCGs and LCGs where the winner isn’t the better player, but the person who bought more expansions/boosters/singles? So I’m trying to find a credible source that can confirm a Firefly expansion will be released some time in the future. Can anyone help me confirm this? I would like to tell you that I was lied to at PAX in Seattle this weekend. Saw the box and first question is asked was if the old cards were compatible and the guy said yes. Make sure you are training your people better. Hello, im a shop of spain interested in sell Vs System 2pcg, whats the official distributor in spain or europe? and how i can get the store promo kits for my tournaments? Store Promo Kits are currently being produced and are not available just yet, but it shouldn’t be too much longer.